The original AN logo was made up of rough lettering stacked to resemble a house. We simplified the mark into an elegant and powerful “A” with a contemporary feel. The sweeping strokes were inspired by classical Vietnamese lettering combined with modern typography. Using the modernized “A” brandmark as a literal umbrella, the various holdings from the An Family fall directly underneath it in a hierarchical fashion. The restaurant rebranding required the most brainpower to navigate. Crustacean was their flagship success and the transition required precision timing and execution as to not interrupt daily operations of their business or to confuse their clientele during the changeover phases. Expansion into orange county was a necessary choice. The South Coast Plaza location was scouted and we prepared the brand pitch for entry into Bloomingdale’s. We researched the demographics and price-points, assembled detailed customer profiles and local taste trends, proving to the store’s management that the AN family was a strong choice and their track record with Crustacean’s history would ensure success. One year later, the project was approved and ANQI was born. We researched ancient pottery and vietnamese dynasty artwork to incorporate patterns and symbols from the Indochine era. The environmental elements & textiles were all designed to be uniquely exotic and authentic with the roots stemming from the family’s royal heritage before their escape to america. 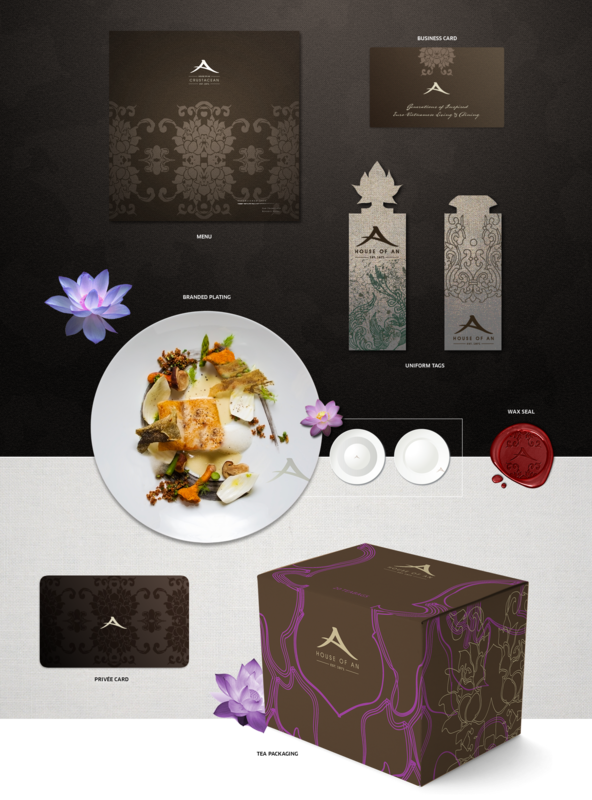 Secret kitchen offerings would be presented on a specially branded dining plate. Special tags denoting rank were used in ancient times, we designed creative applications for a fun and authentic reminder of their heritage. Branching out overseas required a soild plan to ensure success. Crustacean’s brand required strict adherence to retain the brand equity they had amassed for the past decade. All restaurants to date were 100% run by family members, but future restaurants would not have that luxury. Handing over the brand to another manager required tremendous trust, we ensured that all customer touchpoints would be addressed and defined for future expansion in all regions with a detailed brand styleguide and visual systems guide. The An Family was awarded a prestigious honor by the Smithsonian Institute as one of the most prominent Vietnamese families in the United States. 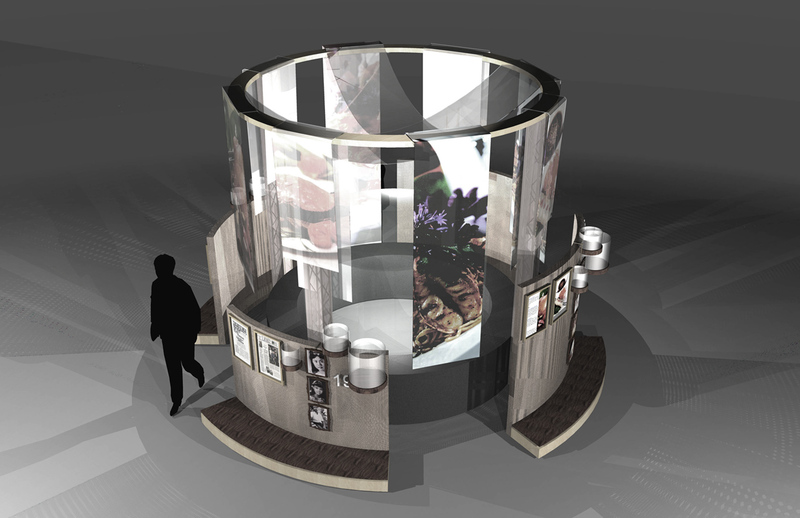 The honor included an exhibit in a newly built museum wing dedicated to Vietnamese-Americans. 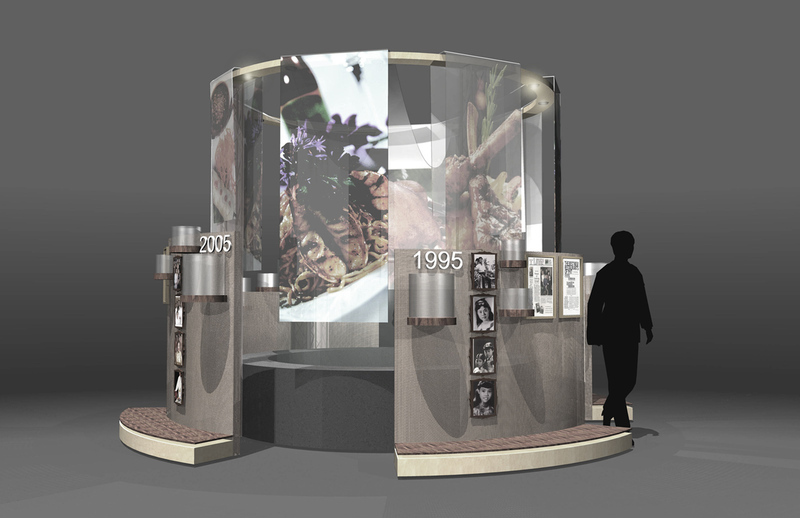 The exhibit detailed the families escape from the fall of Saigon to their relocation in America and building a multi-million dollar food and hospitality empire.